Old Sturbridge Village | OFF KLTR! 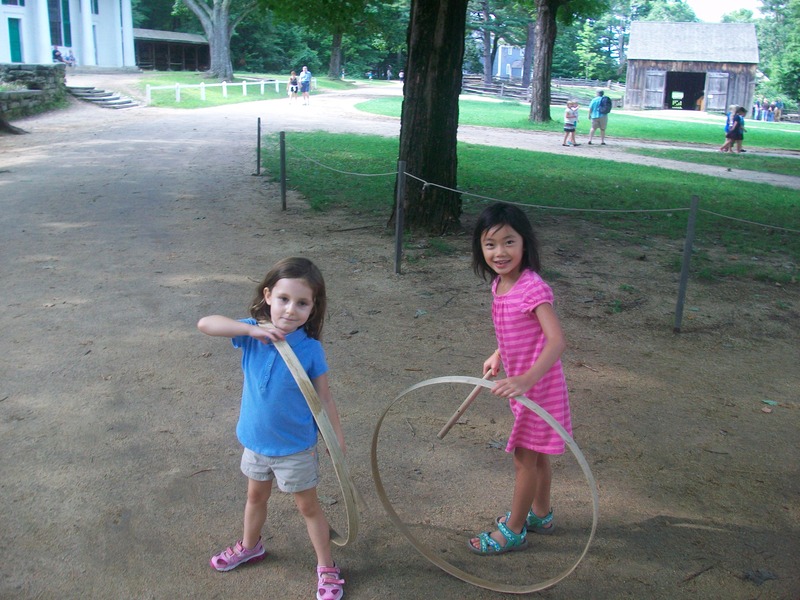 When was the last time you went to Old Sturbridge Village ? We went yesterday with a pretty young crowd (parents excluded, perhaps!) – the kids were 6, 4, 3, and 2 – and we had a great time! And actually, we went with my friend from growing up in Townsend, Eric and his lovely wife Deb and their awesome kids, Lindsey and Ryan…soo actually, I’ve been with Eric every time that I’ve been to OSV! 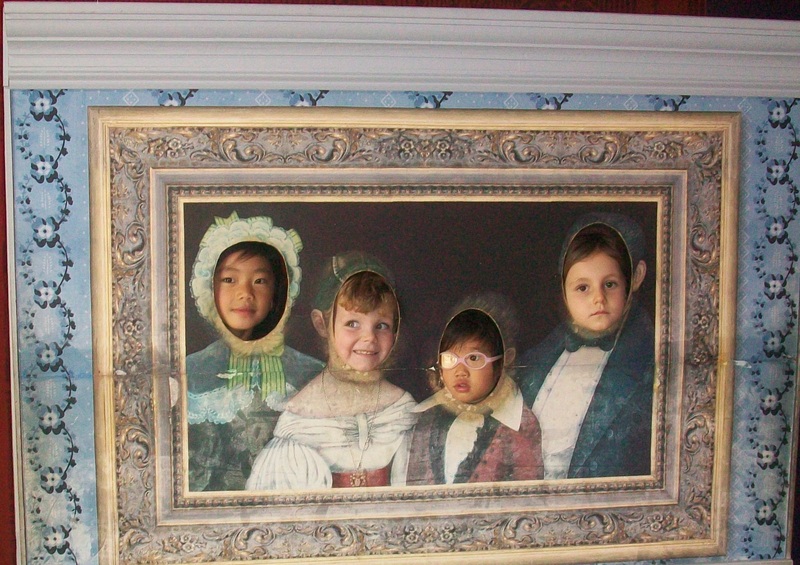 The visits were just 30 short years apart – yesterday and in fifth grade! The kids especially liked playing the old fashion hoop and stick game. And they all loved the old fashion school house. And to top it all off, we got to stop at Pa and Gram’s house (in Auburn) for a quick pizza dinner on the way home. Since Lauren took a nap, we knew we were free ’til 8PM when Keira goes to bed!! Lauren went to bed around 9 last night. Naps…can’t live with ’em, struggle through afternoons without ’em! Girls playing hoop and stick game. I have a picture of Emma playing the hoop game in Dearborn Michigan! She lived that game, maybe we should help it mak a come back! So funny! Maybe it will make a come back?! It is amazing how the most simple toys are the biggest hits, even today – in the age of technology! Very Waldorfy, actually… I won’t tell Keira that though or she’ll say she doesn’t actually like it (hee-hee).